As a global leader in bespoke power distribution solutions, Universal Electric Corporation has provided energy-intensive industries with the most flexible and customisable overhead power distribution systems on the market – the Starline Track Busway. In today’s energy-intensive world, companies rely on power that is on-demand with no downtime. As a global leader in power distribution systems, Universal Electric Corporation (UEC) has made it its mission to make that happen. 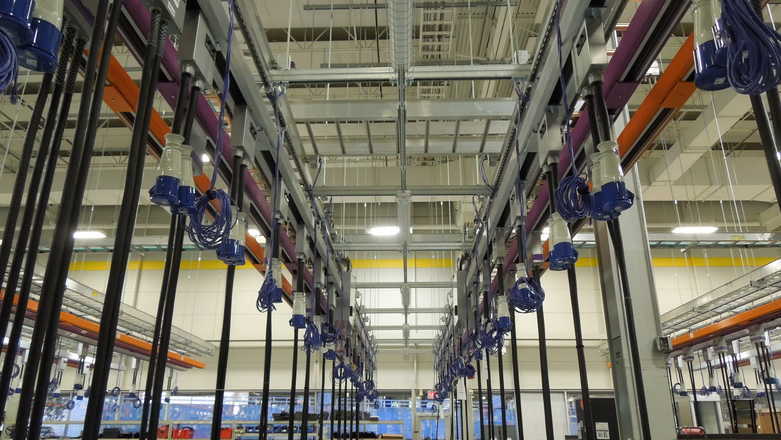 Over its 85-year history, the Pennsylvania-based company has grown to become a global leader in power distribution equipment thanks to its world-renowned brand of Starline products, including its four main product lines: Track Busway, Plug-in Raceway, Critical Power Monitor (CPM) and DC Solutions. By manufacturing innovative electrical power solutions tailored to the specific needs of its clients, the company has earned a reputation for excellence whilst providing the data centre, retail, healthcare, higher education, and industrial markets with bespoke power solutions. Mathew George, EMEA y SW Asia Sales Director en UEC, cree que es el ingenio tecnológico de la marca y el compromiso del cliente lo que la diferencia de sus competidores. The Starline brand was first created when the company’s owner Donald Ross Jr. had the idea of creating a smartly-designed, stationary, yet flexible overhead power supply system. This idea soon morphed into Starline Track Busway, one of the industry’s leading overhead electrical power distribution systems. Using a patented u-shaped copper design, the Track Busway system is a simple, versatile, fast, and economical solution for supplying power to electrical loads. Tested to the best short-circuit rating in the market, the busway system distributes electricity with greater ease and flexibility which can be critical for energy-intensive companies. Thanks to its unique u-shaped copper design, there is constant tension that ensures a continuous, reliable connection to power. It also features an open channel system with a continuous access slot. This means that power can be tapped at any location, making it an ideal solution for sites that are looking to expand or have the ability to change layouts. Sustainability is one of the most pressing issues that is driving today’s data centres towards change and innovation. The Starline product line is meeting this challenge face on by investing heavily in state-of-the-art metering technology, including in-house metering that allows customers to measure their energy at the point of use. That way, customers know how much power they consume, how much they spend, and how they could make potential savings. It is the company’s technological ingenuity and smart design strategy that has helped to propel Starline as an international brand. Over the last eight decades, the company has successfully expanded its international presence and has opened offices, worked with partners, and served customers all across the globe. “Within a year and a half, we have overgrown our existing UK facility and have had to move into a facility which is eight times larger,” notes George, explaining the burgeoning market. “The European market was lagging in its take up of the busway but now it has substantially adopted the Starline product line as the default power distribution equipment. We are quite excited about the opportunities in the region, and that’s why we’re investing in new factories so that we can offer a quicker response time and more local support to our customers. Driven by a commitment to customer service, quality and safety are two of the key principles that underline everyday business at Universal Electric Corporation. As a result, every product is rigorously tested to the best quality and safety standards across the globe. By upholding itself only to the highest of industry standards, UEC has cemented itself as a leading player in the industry with a promising foothold in Europe, Asia, and beyond. With over 85 years of industry expertise, Universal Electric Corporation has grown from an American company to a global giant with factories, offices, and customers in every corner of the world. Thanks to its commitment to product quality and customer value, the organisation has guaranteed that businesses will have the critical power they need for day-to-day operations. For energy-intensive markets, where power supplies can make or break the integrity of a brand, it’s a notable promise. “When data centre operators spend millions of pounds investing in their power chain to ensure that they have a reliable energy supply, people often forget that the final distribution portals play a big and important role,” reflects George.